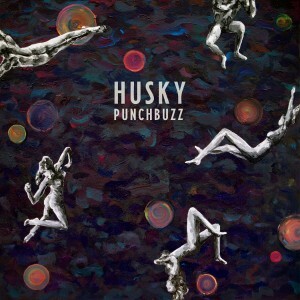 TODAY, the Australian indie folk duo, Husky released their newest album, “Punchbuzz” via Nevado Music. Husky is comprised of Husky Gawenda and Gideon Preiss. 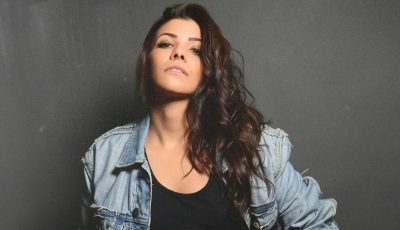 When the duo returned to the familiar sites and sounds of Melbourne the singer-songwriter sought sanctuary at The Westbury Hotel where “Ghost” and Punchbuzz were born. Shaped by their recent experiences, Punchbuzz finds Husky tapping into something that hadn’t previously come to the fore on their debut album “Forever So” or much-loved follow-up Ruckers Hill. Produced and mixed by Matt Redlich (The Trouble with Templeton, Emma Louise) and mastered by Brian Lucey (The Shins, The Kills, Delta Spirit), Punchbuzz is a collection of Husky signature folk sound with streamlined indie rock that lopes ahead with widescreen atmosphere, dark lyrics, and newly muscled melodies. Sharp, lean, and driving, the album more than lives up to the dynamic imperative of its title. We spent most of 2016 in the studio writing and recording our new album, Punchbuzz. We also took a trip to Europe for some summer festivals which meant we could escape the Melbourne winter for a month. As for 2017, I’m excited to release and tour our new album. Growing up, did you both always want to be musicians? Can you recall the moment you realized that you could really make music together and be a band? How did you two first meet each other? We’ve both been playing music since we were kids. We’re cousins so we hung out a lot growing up, but mostly got up to no good rather than playing music together. In 2008 we recorded a few songs together. At the time we were both working on different things but it instantly worked and felt right. We’ve been making music together ever since. I first met Gideon when I was 3 years old. He was 1 week old, maybe 2. We considered Husky & Gideon but it seemed a bit of a mouthful. So we flipped a coin. Tails never fails. 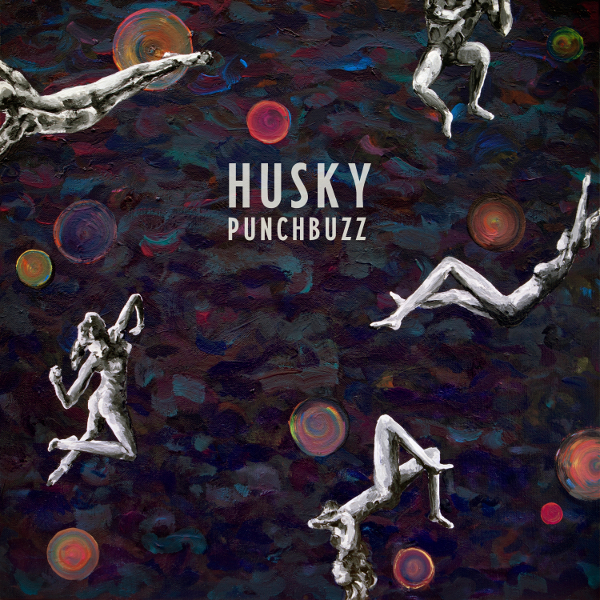 TODAY, you released your sophomore album, “Punchbuzz” via Nevado Music. Can you talk about what it was like putting this collection together? Did anything surprise you about the process? Were there any unexpected challenges? It’s the most fun I’ve ever had making a record. I wrote a lot of songs initially but it was really clear which songs were the songs we wanted to work on and we went into the studio with 9 out of the 10 songs demoed and pretty well mapped out. We worked with producer Matt Redlich who brought not only his technical brilliance but also a lot of imagination and heart and excitement and vision and the three of us got on like a house on fire and had a great time making a record which, is the way it should be, but isn’t necessarily, so I’m grateful for it. There are always challenges but they weren’t unexpected. In some ways the biggest challenge was finishing the record and getting used to life outside the studio again. We’re studio addicts. 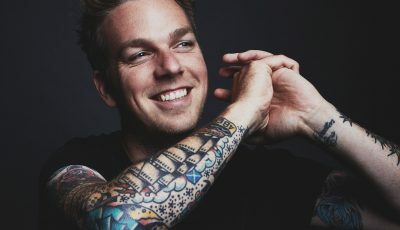 What was it like working with your producer Matt Redlich and having the album mastered by Brian Lucey who has worked with bands like The Shins and Delta Spirit? We sent the record to Brian Lucey and a day later the masters came back. I sat on my couch on my front porch while the sun set and listened to the album start to finish. It was hard to put my finger on it, but it just sounded magical. I don’t know what he does but whatever it is, it works! How do you think your sound has grown on this second record? How does it compare to your previous albums, “Forever So” and “Ruckers Hill”? What has remained the same today about the sound of Husky? Do you have plans to tour with this new album after it comes out? Can you think of a favorite or a few favorite shows that you have had in the past? What do you think makes a perfect show for you two? Yes, we’re working on our touring plans at the moment and there’s a lot to look forward to this year. I think apart form the obvious – the atmosphere of a venue, the sound quality, the band having a good night – what makes a good show is the audience. It’s all about the audience. When the audience is there to listen and lift off, our job is easy. We can lift off. And our job is to lift off. Who are some of your favorite artists? Who would you both love to work with in the future? What would be a dream collaboration? I’ve listened a lot to Jonathan Wilson, Damien Jurado, Father John Misty, The National in the last few months. Among many other things. 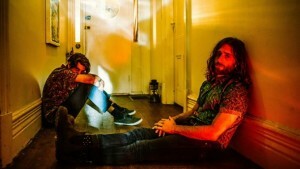 I’d love to do something with Jonathan Wilson sometime! I just hope they take something away from it. There’s so much music out there. So much of it just disappears off into the ether. I guess if someone is moved, if someone is transported, if someone dances or smiles or cries, then you’re a lucky song writer. I think I’ve said enough. I hope your readers will take a listen to the songs. I’ll let the songs do the talking. 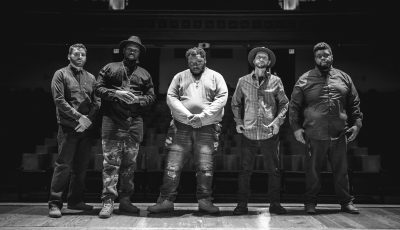 The Utah Band SPIRIT CITY Discuss Their Upcoming New Music, Favorite Artists and More!